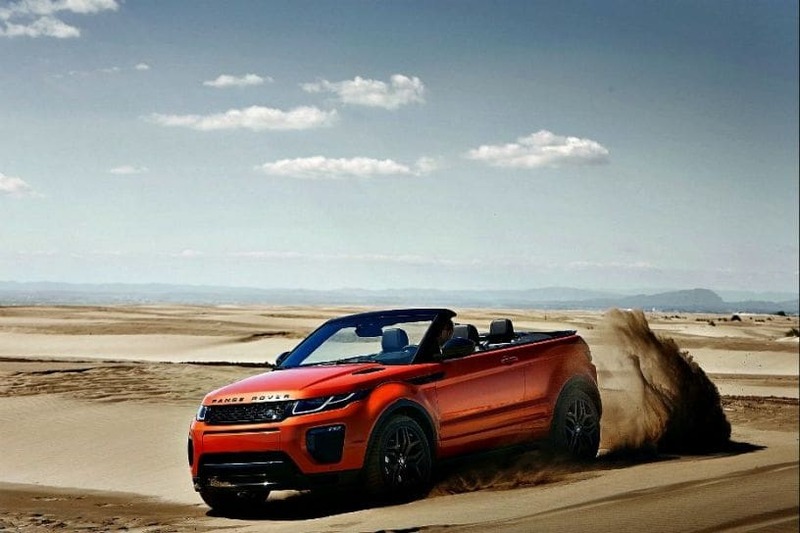 Land Rover has launched India’s first convertible SUV, the Range Rover Evoque Convertible. It is available only in the top-spec HSE Dynamic variant and is priced at Rs 69.53 lakh(ex-showroom pan-India), Rs 9.54 lakh more than the standard Evoque HSE Dynamic (Rs 59.99 lakh). Being a top-spec variant, the Evoque Convertible is equipped with all bells and whistles such as a 10-inch touchscreen infotainment system with navigation and 16-speaker 825W Meridian surround sound system, 360-degree camera, automatic climate control, cruise control, front and rear parking sensors, rain-sensing wipers and 12-way electrically adjustable front seats. It also gets Terrain Response system, ABS, EBD, traction control, roll stability control, trailer stability assist and a tyre pressure monitoring system that makes it safe and a better off-roader. Powering the convertible SUV is a 2.0-litre Si4 petrol engine that makes 241PS of maximum power and 340Nm of peak torque. Power is sent to all four wheels via a 9-speed automatic transmission. Land Rover claims that the convertible SUV can go from 0-100kmph in 8.1 seconds before maxing out at 217kmph. The same BS-IV engine will also be available on MY-18 Evoque, when it is launched in the coming months.